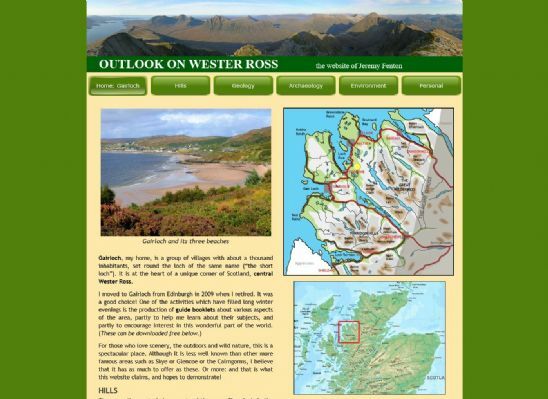 Jeremy runs a website which is an 'Outlook on Wester Ross'. The website gives information on the Gairloch area including the Hills, Geology, Archeology and the Environment. There are also free booklets you can download on the site relating to the area. The website includes bonus pages or 'diversions' that you have to seek out - that include information about such things as Inverewe Gardens and local sunset photos. An amusing interactive feature.